We will tell you all the little things about the both appliances and how they can benefit you in their way. We are sure at the end of this article; you will have a clear picture in your mind about food dehydrator vs. air fryer so that you can make a wise decision of buying any of them for your home. If you are a first time user of both the appliances, then it will be better that you should be aware of the definition of the food dehydrator and the air fryer. What Are the Similarities Between the Food Dehydrator and an Air Fryer? What Foods Can You Dry in a Food Dehydrator? 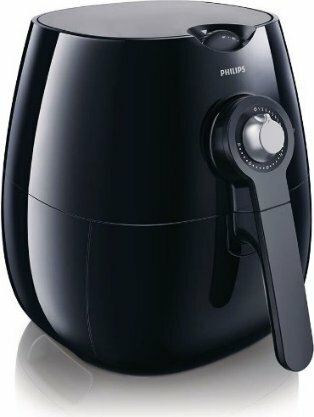 What Foods Can You Cook in an Air Fryer? A food dehydrator is a plastic or a metallic box that may dehydrate the foods with the help of the hot airflow which mainly benefits in reducing the water content in the food. Usually, the moisture content inside the food is nearby 50 to 90% of the weight of the food, and if it remains inside the food for the lengthier period, then that might result in the development of bacteria or fungus in the food. All this can further lead to dangerous health problems in human beings. The answer to such issue is removing the water from the food to a great extent. That is why a food dehydrator is required. An air fryer is an efficient electrical appliance which utilizes the circulated hot air for cooking the snacks. In the machine, a motor-driven fan moves the hot air around the complete food at quite high speed. It makes the food cooked with a crispy and crunchy texture. Some people might get it confuse with the oven but in the air fryer, you need almost no oil for cooking. This machine is a great discovery for all the individuals who desire to eat the fast food but in a very nutritious way. It also gets heated up in quite less time. They both offer you the food in a best nutritious way without compromising your health. You do not have to use any oil for cooking the food. You can use both machines safely and securely without any issue of getting burnt. The parts or the accessories of the food dehydrators as well as of the air fryers are dishwasher safe, and you can wash them easily. You can cook multiple numbers of food items in both machines and serve them to your guests. Both of them come with a timer which you can set as per the requirement, and you might do your personal work without nay obstruction. Both appliances are manufactured some of the biggest renowned companies of the world. Your food will be cooked evenly in the food dehydrators as well as in the air fryer. The food dehydrators use electricity for the functioning. There are several trays in this appliance over which the food is placed for dehydration. As soon as you ON the machine, the air flows into the device with the help of the fan. You need to set the temperature also at which you have to dry your food. The simple principle in an air fryer is that it utilizes the hot air to heat the food through the process of circulation. It mainly uses a fast air technology to prepare any form of food which you may have to cook in deep fat otherwise, for example, chicken and chips. The food dehydrators take several hours to days for drying the food whereas in the air fryer you just need few minutes for the air frying. When you dehydrate the food in the dehydrators, the look of the food gets change due to the elimination of the water content, but this does not happen in the case of the air frying. In fact, the food looks more delicious after coming out of the air fryer. The food which you dry out in the food dehydrator can be stored for several months for consumption purposes whereas the food which prepares in the air fryer have to be consumed as soon as possible or otherwise it might lose the crunchiness and get spoiled after few hours. When you dry food in the dryer, it eliminates excessive water content from it, but this does not happen in the case of the air fryer. In the air fryer, the food cooks just similar; you cooks in a frying pan. In the food dehydrator lots of quantities of the food can be dried which can serve in a big party or gathering but in the air fryer, very less amount of food is cooked, and you have to use the machine several times for serving enough food to your guests. As soon as you dry food in the dehydrator, it changes the flavor and taste of the food to some extent, but this does not happen in the case of the air fryer. In fact, the air fryer enhances the overall flavor of the food which is cherished by every person. The two big reasons for the wastage of the food are excess meals and the spoilage of food before you eat. So, if you have the dehydrator at your home, you may dry out the food and reduce its wastage which can also save lots of money that you may spend in buying that food again. But this is not applicable with the air fryer. You cannot fry the surplus food in it. 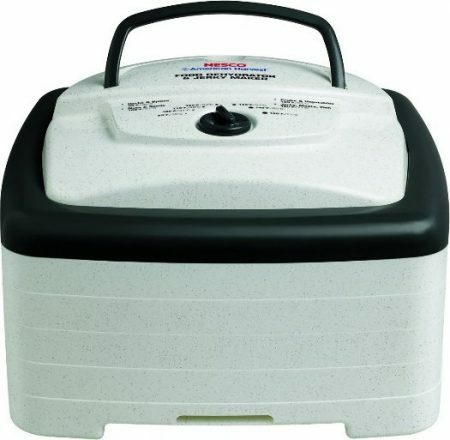 The food dehydrator is the very comfortable machine. It helps in enhancing the shelf life of the food dried, and you can store it for several days. The dried food needs very less space for storing. It is a cheap appliance to buy which can suit anybody’s pocket. You can check the status of the food through the transparent door or the lid of the machine. You do not need any oil for drying food in the dehydrator. This machine can expand when required with the help of the trays. You can dry two different foods at one single point of time in the appliance. You have to run them for the longer period which can result in huge electricity bills. They create noise while drying the food which makes them unsuitable to use at night. Some of the dehydrators come in big size which needs more counter space for storing. The look and the flavor of the food get changed after drying. It takes longer time for completing the entire process. It enhances the looks and the flavor of the food. It makes the food more crunchy and crispy. It takes very less time for air frying the food. The air frying technique is the quite inexpensive method to use. You can use the air fryer for other things also like baking or roasting. It is a safe product to use as compare to the old method of frying. It needs no oil for cooking. It is not appropriate for the large families. It can be little hot from outside to touch. You have to buy the accessories of the air fryer additionally like double layer rack or baking tray. You need to research about this appliance before beginning the use. You can dry the only type of food at once in the appliance. You can increase its capacity at all. You have to consume the food cooked in the air fryer as soon as possible. In the end, we just want to say that the food dehydrator as well as the air fryer both of them has some excellent benefits and imperfections in one or other way. The only aim of both the machines ultimately is to provide you the healthy and nutritious food. Nowadays people are getting more health conscious, and that is why more and more companies are manufacturing health supporting appliances these days. Thus, it is now your call that which product you want to buy and which machine suits perfectly to your requirements. In the above article, we have explained you the similarities and the dissimilarities between the food dehydrators and the air fryer in detail. Now you have to make your decision. When you know your needs, budget and preference clearly, then you can quickly make a right choice between both the appliances. So, what are you thinking now? Make some choice and grab your machine from the famous online shopping website Amazon and share your views about the product with us here. It sounds like dehydrators and air fryers are both convection ovens, though at quite different heat and velocity settings. I found one on amazon which appears to do both: the GOLUX Multi-Use Smart Convection Countertop Ovens with 5 Drying Trays, Digital Temperature Controls and Timer, with Food Dehydrator Function. It has only one review and I’ve never heard of the company. I don’t have enough room for both. Is this a viable solution? I just take a look at GOLUX Multi-Use Smart Convection Countertop Ovens with 5 Drying Trays, Digital Temperature Controls and Timer, with Food Dehydrator Function (I hope you are referring the same product). It seems like a very new brand and they don’t even have any other products from that brand. So I definitely think before buying such product. Moreover, you need to be aware that some food items need to dehydrate over 24 hours! You can take a look at some food dehydrating time and temperature guide here. In case of oven food items, it usually few mins to few hours. They are not designed to for long cooking like dehydrators. So, considering all these things I suggest you buy both separately. How about buying small dehydrators? When drying nuts in the air fryer – is the heat at a low enough setting (under 118?) so that the nuts will still be considered “raw” when done? You article has several flaws that could be confusing and misleading your readers. I’m only going to focus on two. A food dehydrator and an Air Fryers are both convection based systems that use the circulation of heated dry air to cook and/or dehydrate foods. The only different between the two is the Max Temp of each unit and the speed of airflow. Air fryers can be used to dehydrate food just as well and sometimes even better than a dehydrator because they allow for a higher temperature. The higher temperature along with the super fast air speed actually shorten the dehydration time. Faster Airflow equals faster dryer and higher heat also equals faster drying to a point. Anything being air heated above 210 degrees is actually going to be cooked instead of dehydrated. The other issue i thought important to address is that you state that anything dehydrated in an air fryer has to be eaten soon or it will spoil. That is actually incorrect. If properly done food that has been dehydrated in an air fryer is no different than foods dehydrated in a dehydrator. Dehydrated is dehydrated not matter what machine you use to do it. Don’t mean to offend but having factual information is important when people look to shell out a few hundred dollars on a kitchen appliance!